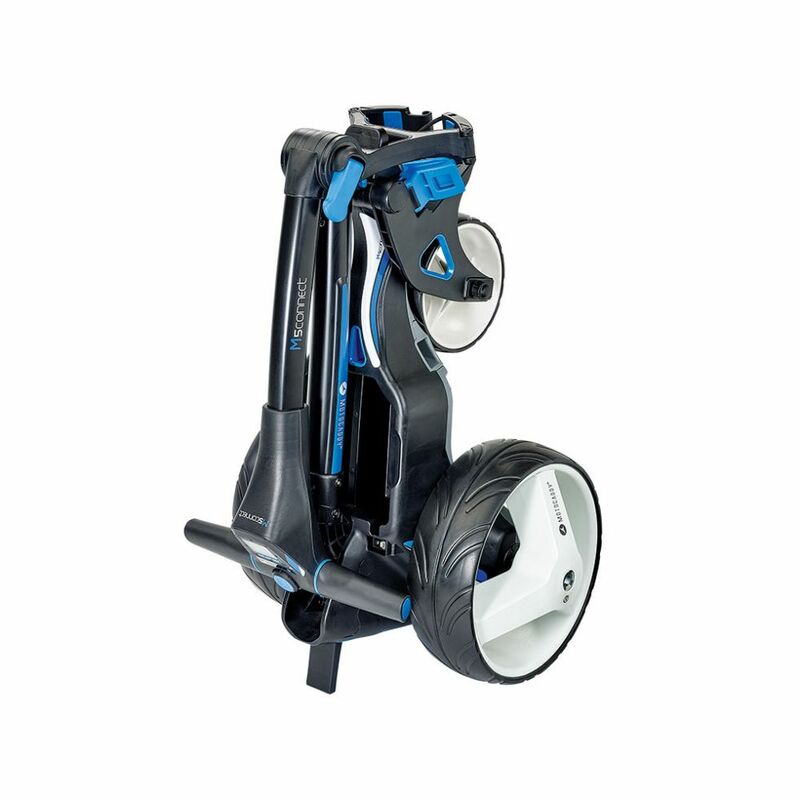 Motocaddy's new M-Series range the first to take advantage of advances in power technology. “The new M-Series range is the first to take advantage of advances in power technology,” said Motocaddy's marketing manager Oliver Churcher. “The new super-efficient drive system offers unrivalled power and more torque (grip) going up hills. The new compact-folding M-Series range includes a model to suit every golfer, including another world first – the brand new M5 CONNECT GPS model, pictured above. As well as extending its revolutionary ‘Smart Cart’ technology to the compact trolley sector, Motocaddy is also enhancing its M3 PRO, M1 and M1 DHC models with a streamlined modern frame design that includes space-saving inverted wheels to help achieve a significantly reduced folded footprint.